"Aggravating factors" can turn a simple misdemeanor DUI into a felony DUI offense. You have gone from a simple DUI to a DUI felony offense that carries harsh and additional penalties in Ventura County and under California law. 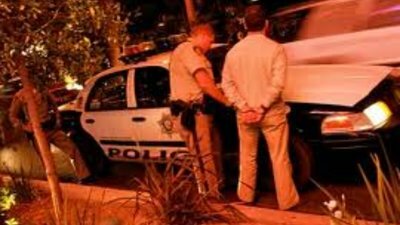 The Ventura law firm of Charles L Cassy Attorney at Law has a long history of DUI felony representation with over thirty years of DUI defense. Call us immediately if you are a loved one is charged with a DUI Felony. To avoid long prison sentences and harsh penalties you require a skilled DUI Felony defense attorney to represent you. You need Charles L Cassy Attorney at Law. We have more not guilty verdicts than any other law firm in Ventura. We have over thirty years of experience in all criminal matters including all types of DUI offenses. We will listen to you, investigate all details of your case and fight to get you the best results possible. A DUI felony conviction is truly a life shattering event. You need a local, aggressive, Ventura lawyer to fight DUI Felony charges. We will come to your defense! A simple DUI is escalated to a DUI Felony if there are certain "aggravating factors"
This year city police agencies, the CA Highway Patrol and the Ventura County Sheriff's Office participated in checkpoints throughout Ventura County during the July 4th weekend.